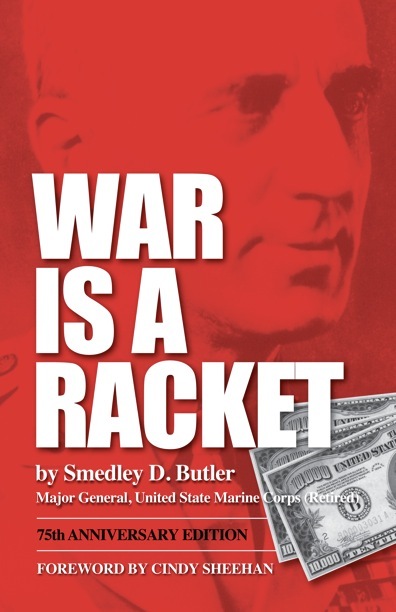 Cindy Sheehan's podcast featuring Major General Smedley Butler's speech. 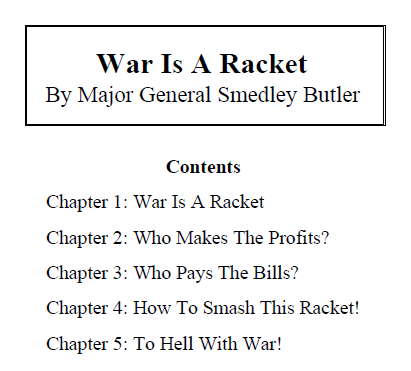 In it Mr. Butler describes how the few and connected use the excuse of war to generate in excessive profits (which in itself is an empty exercise). Mr. Butler was rumored to be assassinated by the powers that are for his opposition to the establishment.